Speakers | Author Marketing Live! 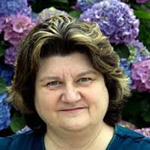 Deborah Carney of Bookgoodies has over 20+ books published and over 30-years of Web marketing experience. 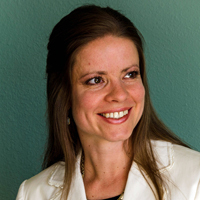 She is not only an author; but also a powerful Internet marketing professional. Bryan Cohen is the co-host of the Sell More Books Show. He’s also an author, a freelance writer and an occasional game show contestant. He’s written over 30 books, including Ted Saves the World (a YA sci-fi/fantasy series), 1,000 Creative Writing Prompts (a writer’s reference series) and The Post-College Guide to Happiness (a self-help book). Learn more about Bryan at BryanCohen.com and BuildCreativeWritingIdeas.com. Mark Coker founded Smashwords in 2008 to make it fast, free and easy for writers to self-publish an ebook. Today, Smashwords has grown to become the world’s largest distributor of self-published ebooks. Today, 100,000 authors and small independent presses around the world publish and distribute over 300,000 books with Smashwords. Smashwords distributes globally to Apple iBooks, Barnes & Noble, OverDrive, Kobo, Scribd, Oyster and Baker & Taylor Axis 360. Follow Mark on Twitter @markcoker. Mark blogs at http://blog.smashwords.com. 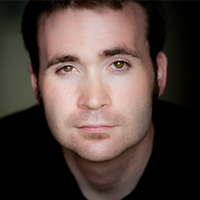 Joel Comm is an entrepreneur, NY Times bestselling author, and new media innovator. An expert on harnessing the power of the web, publishing, social media and mobile applications to expand your brand’s reach and engage in active relationship marketing, Joel is a sought-after public speaker who leaves his audience inspired, entertained, and armed with strategic tools to create a new media campaign that will explode their business. Michael R. Drew is a maverick who gets results. Marketing books for his entire career, he’s become the world’s most successful book promoter, having launched 79 consecutive books onto best-seller lists, many of them number-one titles. Beyond merely helping authors’ books to sell well, Michael has benefited from these writers’ insights into social trends. He himself has observed up-close the shifting dynamics of society— as with his work on Pendulum—and has seen firsthand the rapid and long-term changes in the publishing industry and how content reaches today’s varied audiences. Michael honed his skills at such respected publishers as Bard Press, Entrepreneur Magazine, Longstreet Press and Thomas Nelson Publishers, among others. He has mastered the intricacies of publishing and, in adapting to today’s fast-evolving industry, Michael founded Promote A Book to work directly with writers to help them spread their message. 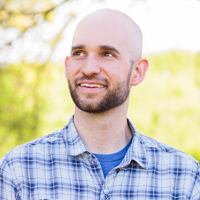 Matt Gartland is the founder of Winning Edits, a creative agency for authors specializing in the strategy and production of books, podcasts, and products. If you are in the business of books and growing your author platform, then Matt and his team may be the competitive advantage you’ve been looking for. Tim Grahl is the founder of (http://outthinkgroup.com), a firm that helps authors build their platform, connect with readers and sell more books. 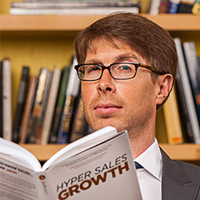 He is the author of Your First 1000 Copies: The Step-by-Step Guide to Marketing Your Book (http://bit.ly/yf1000c) and works with many of the top authors in the world including Hugh Howey, Daniel Pink, Dan and Chip Heath, Barbara Corcoran and many more. He has launch multiple New York Times and Wall Street Journal best selling books. 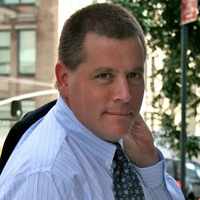 Through his work with over 100 authors across all genres, Tim has learned and practiced the secrets behind successful marketing campaigns and teaches the strategy and techniques through his website http://outthinkgroup.com. Shelley Hitz is an award-winning and internationally best-selling author. She is the owner of TrainingAuthors.com and is passionate about helping authors succeed in publishing and marketing their books. She teaches from personal experience. Shelley has been writing and publishing books since 2008 and has published over 30 books including print, eBook and audio book formats. 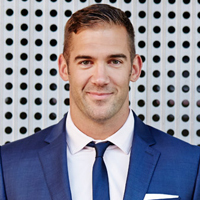 Lewis Howes is a former professional football player, two sport All-American, world record holding athlete, and current USA Men’s National Team member for team handball. He is an online business expert turned lifestyle entrepreneur, author, and angel investor who built a seven-figure business in two years while starting out sleeping on his sister’s couch. Details Magazine named him one of “5 Internet Gurus Who Can Make You Rich” and he was recognized by the White House as one of the top 100 entrepreneurs in the country under 30. 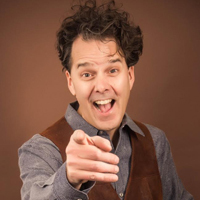 Brian G. Johnson is a serial entrepreneur who is also an engaging speaker, product creator, #1 bestselling author, nurturing mentor, and passionate poodle wrangler. Since 2008 Brian has coached tens of thousands of wealth seekers, many of whom are successfully generating life-changing income. 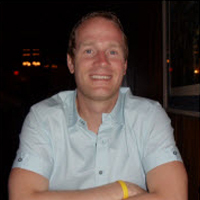 Brian’s high energy and zest for life translate well to his coaching programs, where he breaks down the most important elements of many profitable online businesses-traffic and conversions. His formulas are simple, his rituals are effective, and his techniques are easy to follow. Jim F. Kukral is a 19-year Internet marketing professional who was named by Dun & Bradstreet as one of “The Most Influential Small Business People on Twitter.” Jim also serves as a Program Faculty Member for the University of San Francisco’s Internet Marketing Program where he teaches classes to students around the globe on the topics of Internet marketing, entrepreneurship and social media. 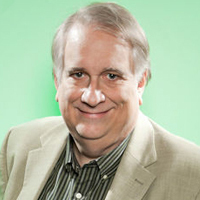 In addition, SmallBizTrends.com chose Jim as one of 100 top small business influencers online. Jim is also the founder the Author Marketing Institute, an organization dedicated to advancing the practice of author marketing for writers of any kind, in any genre, in any part of the world. 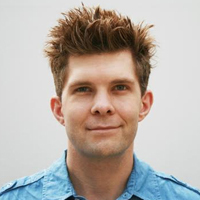 Nick Loper is an author, online entrepreneur, and life-long student in the game of business. 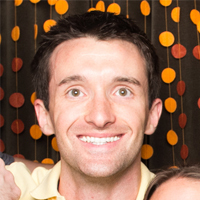 His latest role is as Chief Side Hustler at SideHustleNation.com, a growing community and resource for aspiring and part-time entrepreneurs. In that capacity, he’s out to help people realize their untapped potential, build businesses they care about, and create more financial freedom and excitement in their lives. Derek Murphy has worked with hundreds of best-selling authors and thought-leaders to develop book covers that complement their vision, stand out, get noticed, and attract new readers. His insights into book cover design will put you on the path towards a well-designed book that markets itself. In Derek’s session called “Best-Selling Book Cover Secrets” you’ll learn why some a book cover can mean selling a few books, or thousands. You’ll also see how the littlest changes can make a huge difference in sales. Stop making the rookie mistakes most authors make and learn how to look, and sell, like the best-selling authors. Steve Scott has been a successful Kindle publisher for the last two years in three different niches. Currently he’s written over 45+ books. To learn more about his publishing experiences, check out his blog Steve Scott Site and his forthcoming podcast Self-Publishing Questions. Whether discussing the future of customer service and marketing to a room of 5,000 industry leaders in Tokyo, chatting about journalism to a room full of college students at a conference put on by the US Embassy in Chile, or offering suggestions to NASA Director Charles Bolden as a member of the NASA Civilian Advisory Council, when Peter Shankman talks about the future, people listen. The New York Times has called Peter “a public relations all-star who knows everything about new media and then some,” and meeting planners and conference producers around the world agree. Peter will grab your audience by the throat and give them a glimpse of the next ten years of marketing, customer service, and communication, highlighting exactly what your company needs to do to not only thrive in the new conversation economy, but come out light years ahead of your competition. Nick Stephenson was born and raised in Cambridgeshire, England. He is a non-fiction author and novelist. His approach to writing is to hit hard, hit fast, and leave as few spelling errors as possible. As well as writing, Nick teaches other authors how to effectively market themselves and their books – focusing on how to build up huge author platforms on autopilot. In a previous life, Nick Stephenson has worked as a lawyer, marketer, chef, and paid assassin for the UK’s Tax Authorities. If you ask him about it, he will deny ever having worked as a lawyer. 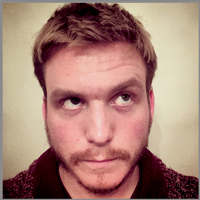 Johnny’s Bio: Johnny B. Truant is an author, blogger, and podcaster who has built a self-publishing empire. He is the author of the Fat Vampire series and The Bialy Pimps, as well as co-authoring the science fiction political thriller The Beam and the Unicorn Western series with Sean Platt. 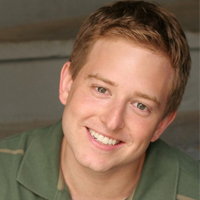 Johnny is one of the hosts of the Web’s most popular podcasts called the Self Publishing Podcast. His latest book, Write. Publish. Repeat. (The No-Luck-Required Guide to Self-Publishing Success) is a #1 best-seller in the writing category on Amazon. 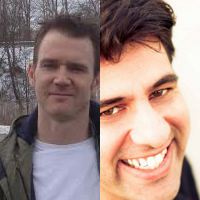 Sean’s Bio: In addition to authoring dark horror and sci-fi with Dave at CI and genre benders with Johnny at Realm & Sands, Sean writes for children under the name Guy Incognito, and has more than his share of nose. He has indie-published more than two dozen fiction titles. Nonfiction credits include the freelancer’s guide, Writing Online, the indie how-to Write. Publish. Repeat., and the memoir Writer Dad. Sean lives in Austin, TX with his wife, daughter, and son. 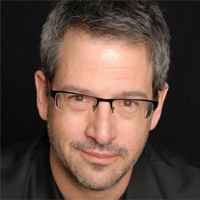 Warren Whitlock is a digital business development strategist. 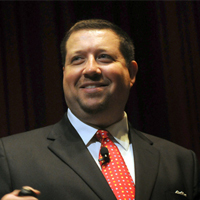 In 2008, he wrote the first book about Twitter and Mobile Marketing, and the best selling “Profitable Social Media: Business Results Without Playing Games.” He is the host of Social Media Radio and speaks frequently about social media marketing, online publicity and marketing, social networking and building lifetime value for rapid growth. He was also named one of Forbes’ Top 10 Social Media Power Influencers of 2013. 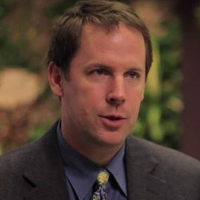 As Founder and CEO, Adam directs the company’s strategic business development and growth initiatives. 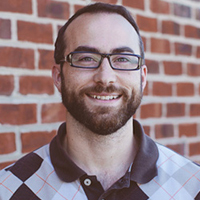 A passionate and seasoned marketer, Adam provides creative direction for Advantage’s corporate marketing strategies. Adam is a proud alumnus of Clemson University and happy to call Charleston home.